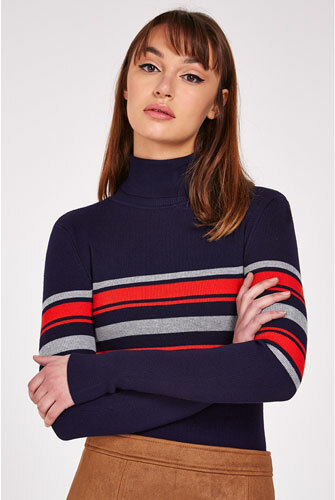 With more than a nod to the 1970s, this Louche Jozie Stripe Polo Neck Jumper could be just the thing if you want some knitwear with a retro vibe. 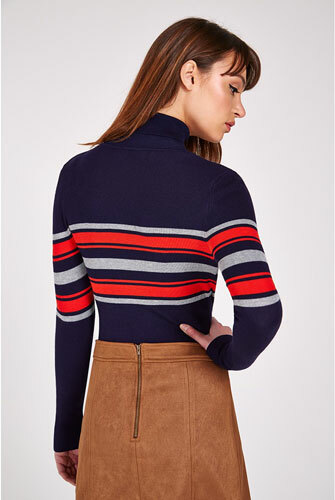 It’s a slim-fit top with long sleeves and a polo neck, not to mention some poppy red and light grey horizontal stripes. 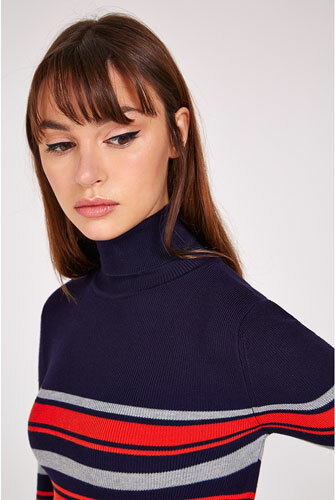 It looks good without going overboard – retro without looking like a tribute to the era. Sizes are 8 through to 16 and the price is £39. Oh and if you have your eye on the suedette mini skirt that is just about visible on the shots, that’s also available from the same retailer.